Along with new details on Star Fox Zero, yesterday’s Nintendo Direct had some big news about additions to the Nintendo game library. Paper Mario: Color Splash will be available on the Wii U sometime this year. The game takes place on Prism Island, where “something is very wrong.” The island is being “drained of color,” and Paper Mario will be equipped with a new paint hammer, that can revive everything from the landscape to Toads to buildings. The battle mechanic involves painting cards and flicking them to start the battle – there are also “special cards that can unleash devastating attacks.” It is the latest in the Paper Mario series, and the first entry to come to the Wii U.
Kirby: Planet Robobot is the next entry in the Kirby franchise, and will launch for the Nintendo 3DS on June 10 of this year. The game involves the standard platforming mechanic, but adds a twist – Kirby will now be able to use the enemy’s powerful metal suits against them, in order to protect dreamland. 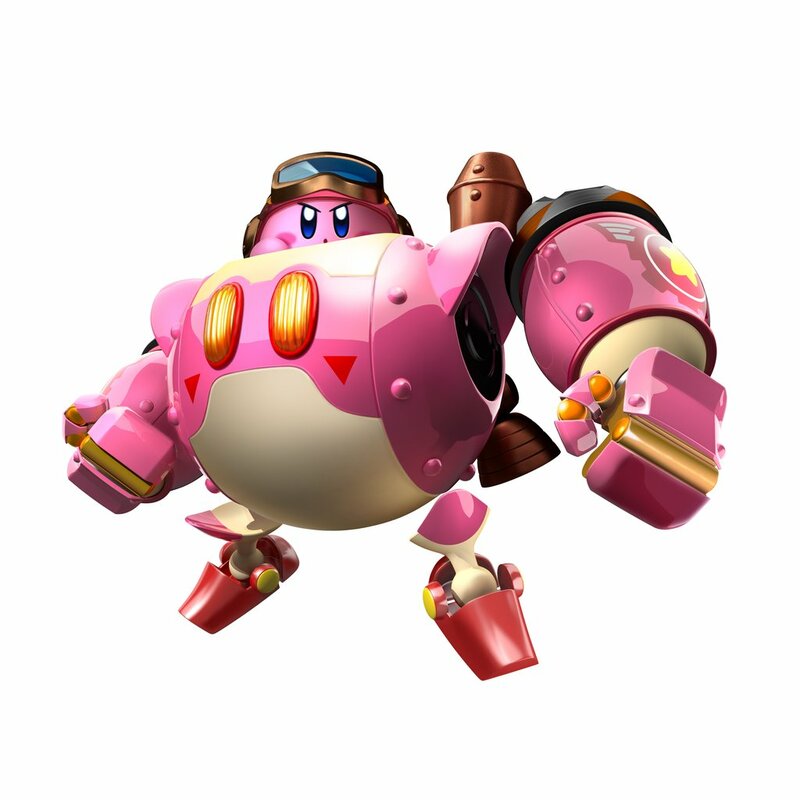 The armor can take on “enemy characteristics,” as is emblematic of Kirby’s copying abilities, and can be modified with more than 10 different modes. Planet Robobot will also feature a new mode called “Team Kirby Clash,” which allows up to 4 players to team up for co-op quests. Thanks to Download Play, only one person in the group needs to own a copy of Planet Robobot in order for everyone to join in on the fun. The game will also be compatible with all amiibo, which adds a whole new slate of copy abilities for Kirby to utilize in-game. A new line of Kirby amiibo figures will launch alongside the game as well – this line includes Kirby, King Dedede, Meta Knight, and Waddle Dee. Last but certainly not least, the selection of Virtual Console games from the SNES to the New Nintendo 3DS will be expanding tremendously within the next couple months. As of yesterday’s broadcast, Pilotwings, Super Mario World, and F-Zero were available for purchase – on March 24, this selection will be expanded with Super Mario Kart, EarthBound, and Donkey Kong Country. And, on April 14, the collection will include The Legend of Zelda: A Link to the Past, Super Metroid and Donkey Kong Country 2: Diddy’s Kong Quest. Unfortunately, for those customers who already own these games on the Wii or Wii U Virtual Console, Nintendo isn’t offering any kind of discounts or transfers to the New nintendo 3DS, despite the fact that the company dropped prices for people who re-bought Nintendo 64 and Nintendo DS titles from the Wii to Wii U.